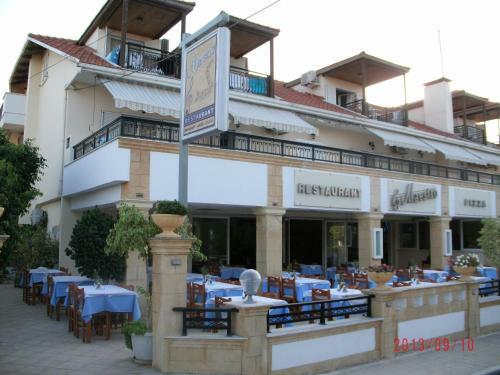 Montes Apartments & Studios is located at the beach in Alykes, Zakynthos. Montes Apartments & Studios common facilities include bar	and restaurant (a la carte). The kids will enjoy the kid meals. The property offers studio, family room, 2 bedroom apartment, apartment and other might be available upon request. The rooms offer sea view and city view. Room amenities include a/c, heating, fridge and more. Each unit has own bathroom with hairdryer. In the kitchen there are kitchen utensils, microwave and fridge. Pets are allowed with prior agreement with Montes Apartments & Studios.